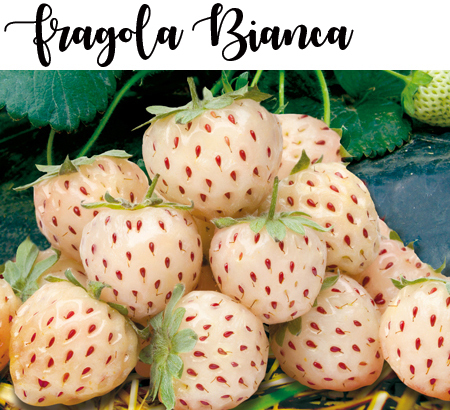 New VARIETY with white fruits, selected from an hybridization with fragaria chiloensis clones from Chile. The PLANT is rustic, disease resistant, not very productive. The FRUIT is smaller than another common strawberry, once ripe it is completely white, with red achenes. The FLESH can be white and/or orange, it is very perfumed and it has very good flavor.